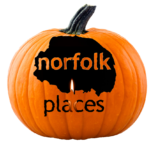 Find Halloween events in Norfolk. There are spooky things going everywhere, and you can find some of the best All Hallow’s Eve activities here! With scary ghouls that wander the streets and woods, and smashing pumpkin decorating, and fun Halloween parties you’ll be able to find a great activity for young and older trick-or-treaters!